The dent-resistant styrene liners are secured to the foam center with a remarkable bond that keeps the panel flat and rigid. The Ultra Board surface does not allow moisture to penetrate, so inks and paints stand out vividly for screen-printed or painted images. Our 48"x96" ultra boards for construction services are of a great use for Boasting its versatility, Ultra Board can be cut with a circular saw, router or scroll saw, or can be hand-cut or die-cut. Ultra Board is lightweight, strong, warp-resistant and is an exceptional value. 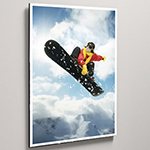 Ultra boards come in various sizes, depending on where you would like them to be placed. Your clients demand eye catching signs and displays therefore you need something reliable at a good value. 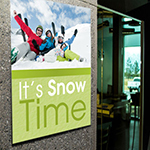 A premium series of durable, and wrap-resistant signboard and presentation materials. Order our custom 48"x96" veterinary office ultra board signs to grab attention of pet owners or our most demanded 60"x96" tradeshow ultra board signs to deliver your message to a larger crowd. Ultra board is designed for interior use. It is rigid and dent resistant. The Ultra Board does not allow moisture to penetrate, so links and paints stand out vividly for screen-printed, or painted images. Our Ultra Foam core panels even can be custom-manufactured for specialized applications. Excellent for screen printing, routed letters, permanent signs, and for other point of purchase displays such as price displays in retail or wholesale stores. Check out our full color foam board printing or custom made gatorboard printing for durable, non-warping, long lasting boards. Vinyl is posted on ultra board which is durable and dent resistant which makes it best for indoor use. 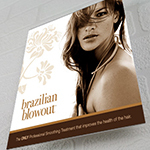 We specialize in digital printing of short run advertising display billboard signs produced directly from file. Our custom display backlit sign come in all types and sizes. 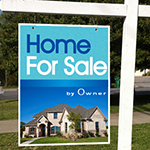 Billboard printing has always been one of the most popular advertising mediums. We offer eye catching billboards to capture your audience imagination. Billboard advertising is the best bet in outdoor and indoor. Ultra Board and is not that costly. And with the amount of exposure the product gets the money is worth it. In the past few years several factors have triggered billboard advertising and cost effectiveness being one of the prime reasons. One of the reasons being if an ad is placed in the local newspaper or a television channel the advertisement gets noticed for only thirty seconds and when the same advertisement is placed on billboard, it gets noticed throughout the day, for months. Thousands of people view billboard everyday on their way to jobs or home, it does not get lost in the pages like an advertisement placed in a newspaper or magazine. There is a frequent and continuous delivery of message. No other advertising method can grab the attention of people like billboard advertising. It creates brand awareness and strong name recognition which so much important for your product. 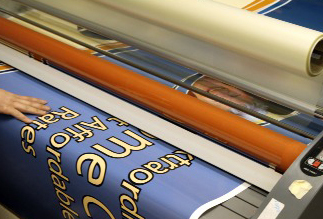 Now, advertisers design and billboard printing services USA provide advertisements. The brighter, colorful, creative the advertisement is, the more eye-catching it is. Delivered on time with quality. My trade show went superb! A great thing to have on workshops . Highly satisfied!! 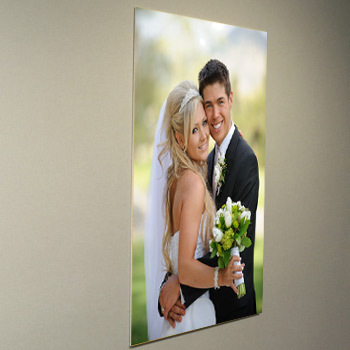 We provide appreciative, stylish and durable outdoor disply board. Printing in full color high quality and high resolution (600x600 dpi) direct Print from your custom design electronic artwork (file) on Ultra Board using Flatbed printing technology. Remmeber : Over 40" x40" any board size we will ship by USPS beouse UPS do deliver over above size 40"x40"